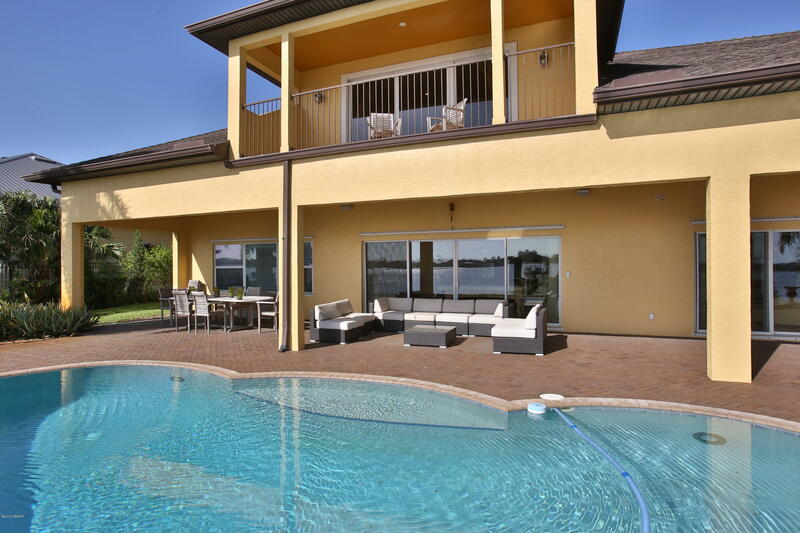 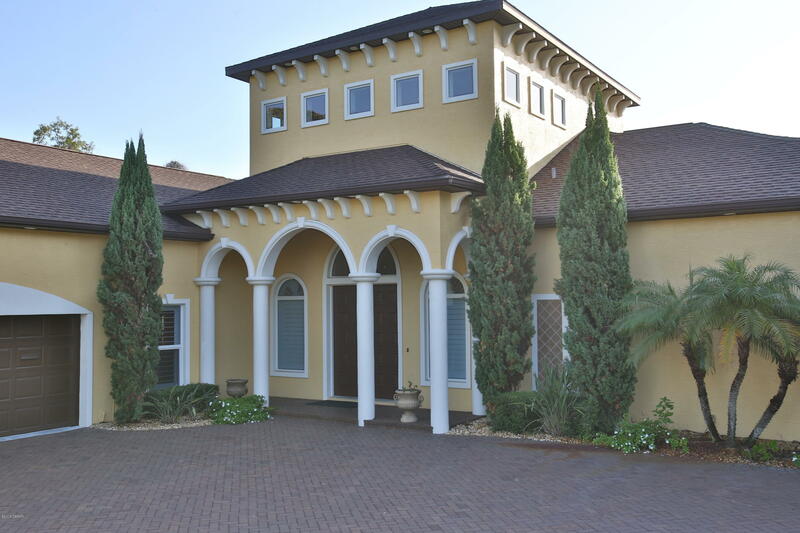 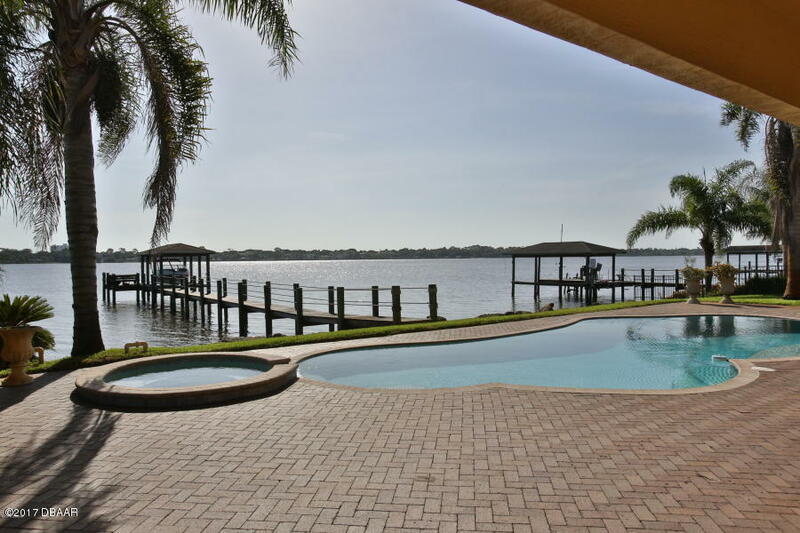 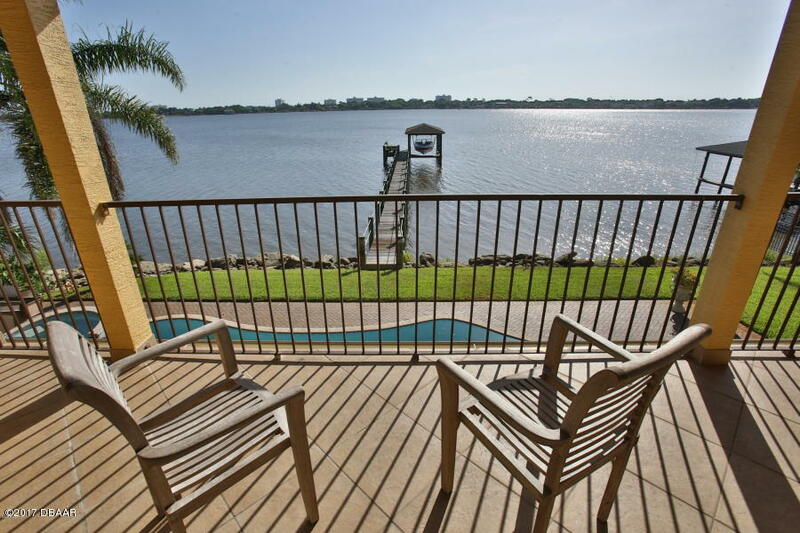 Stunning luxury riverfront on a quiet cul-de-sac setting in Ormond. This property was designed with a naturally lit open floor plan for entertaining and day-to-day waterfront living. 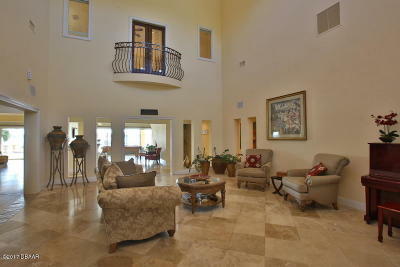 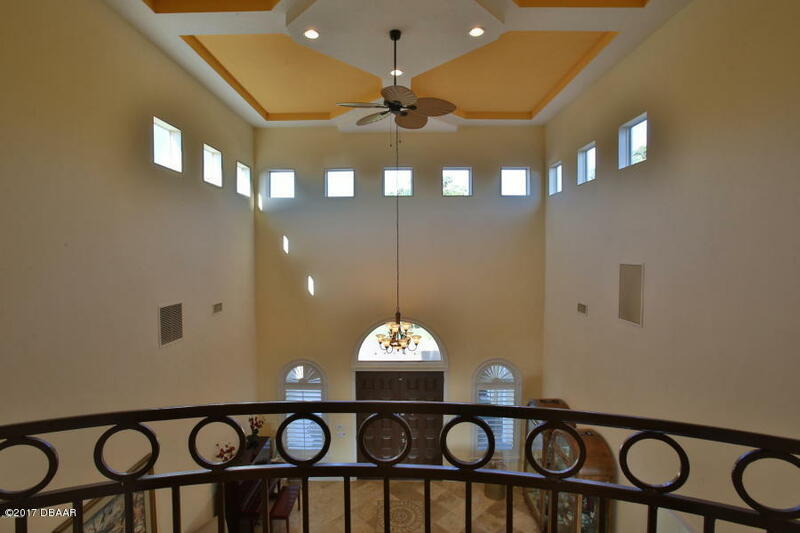 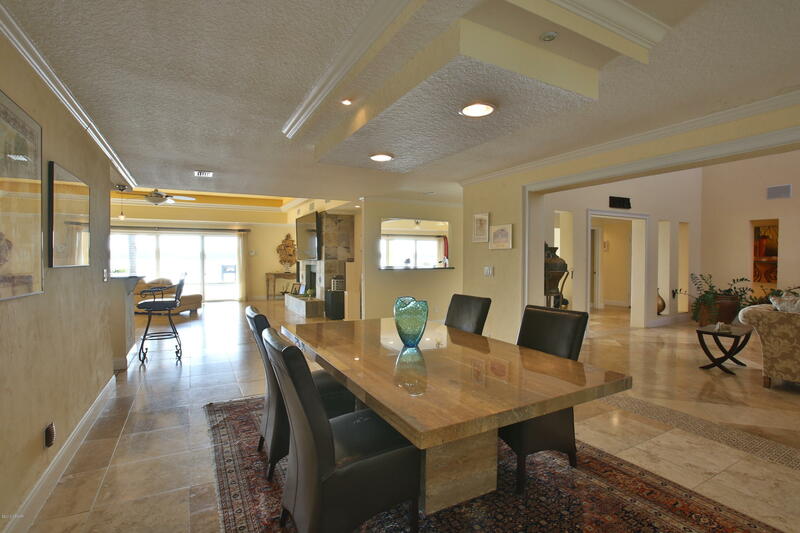 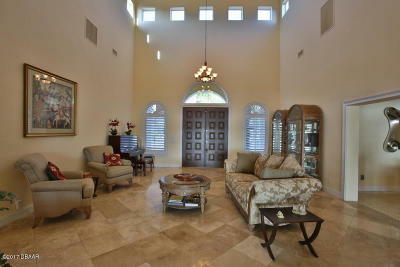 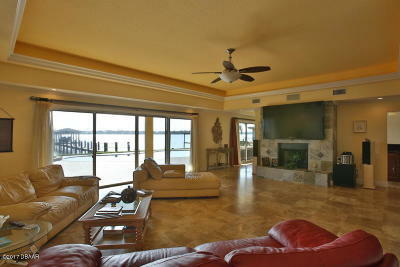 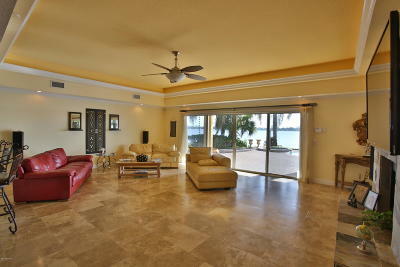 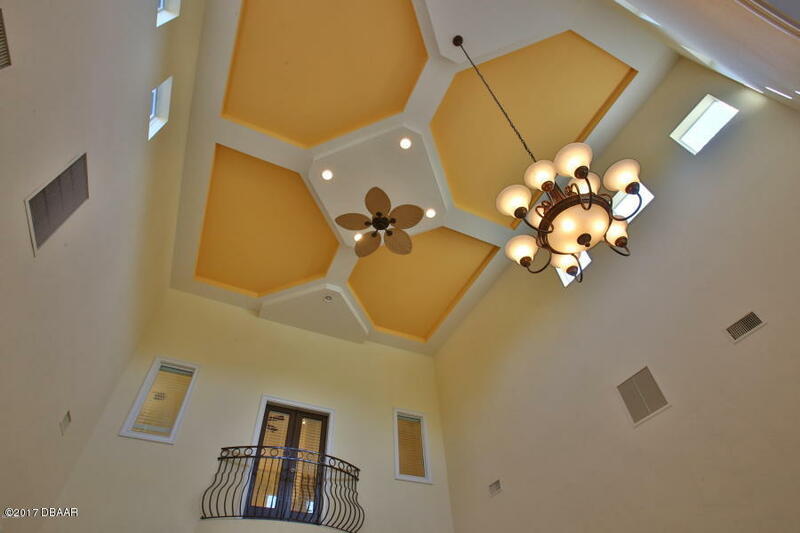 Enter the home to a grand foyer with amazing 22' ceilings above and immediate water views beyond. The main living area offers a unique combination of lovely, elaborate fixtures and appointments among a completely un-obstructed waterfront setting that is both subtly ornate and casual. 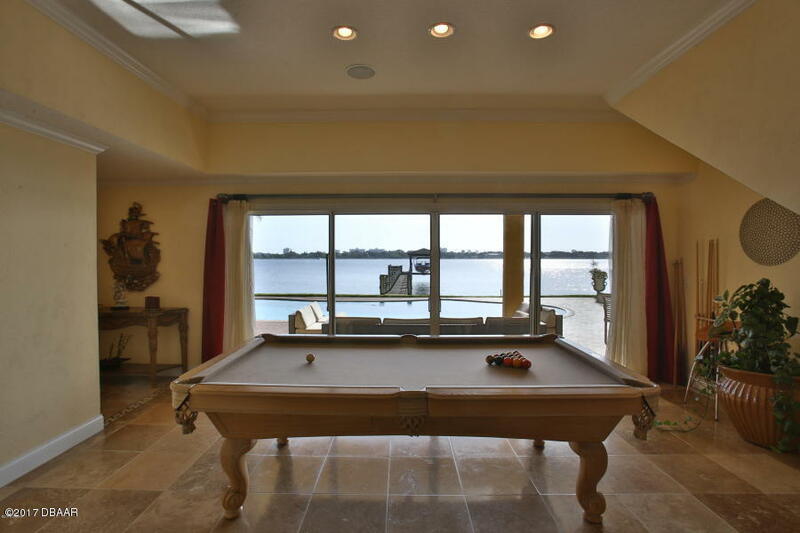 The custom chef's kitchen opens directly to the riverfront family room with fireplace and a wall of glass that opens directly to the covered lanai and pool area. 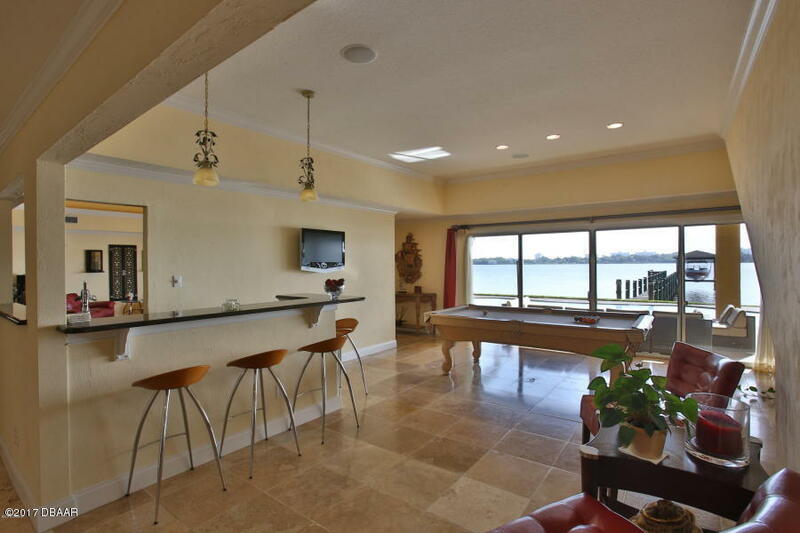 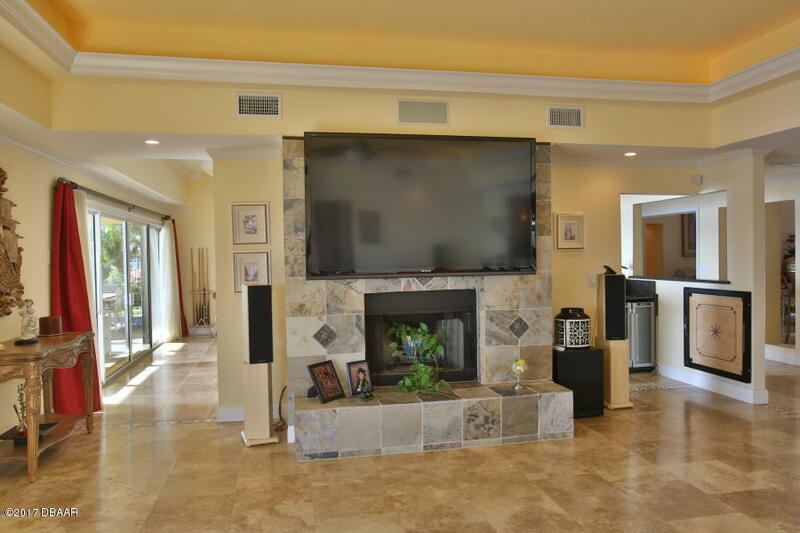 A separate living room serves as a waterfront entertainment area where a beautiful wet bar sits adjacent to a pool table, and another set of glass doors can welcome the outdoors and fresh air when the weather permits. 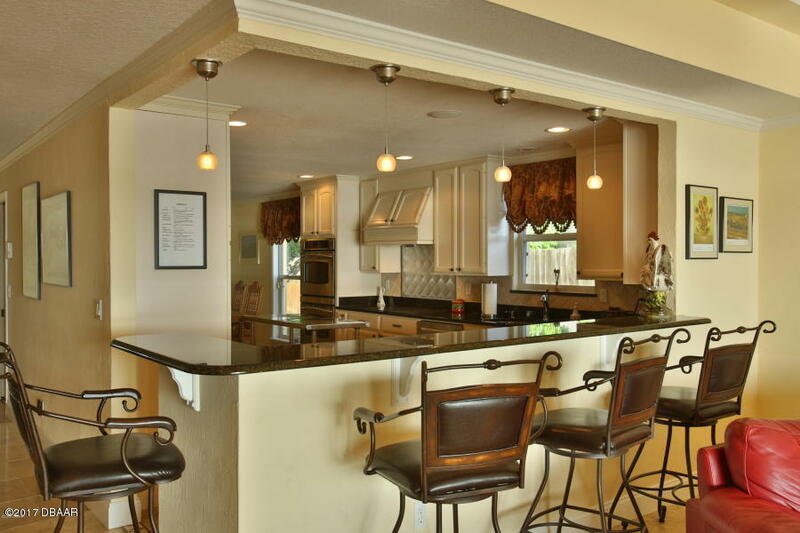 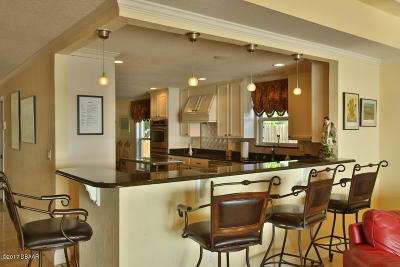 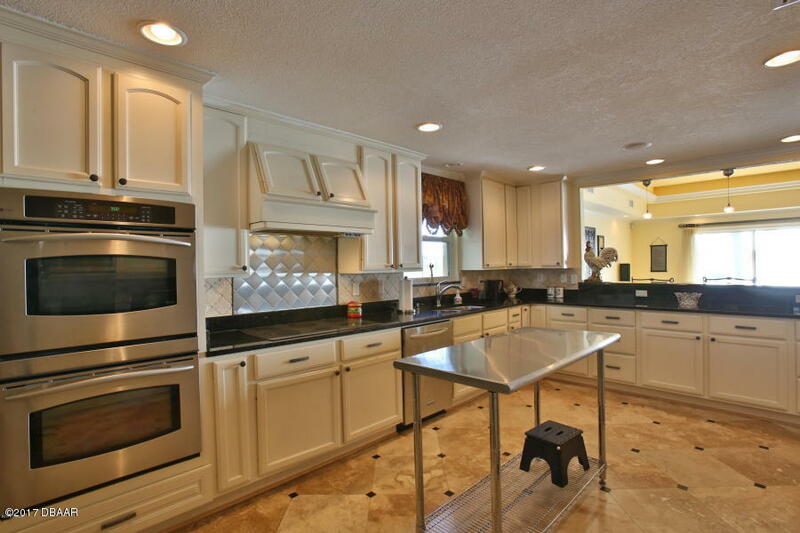 Kitchen is beautiful and well-appointed with high-end appliances and custom cabinetry with a sprawling granite service bar for casual meals or entertaining. 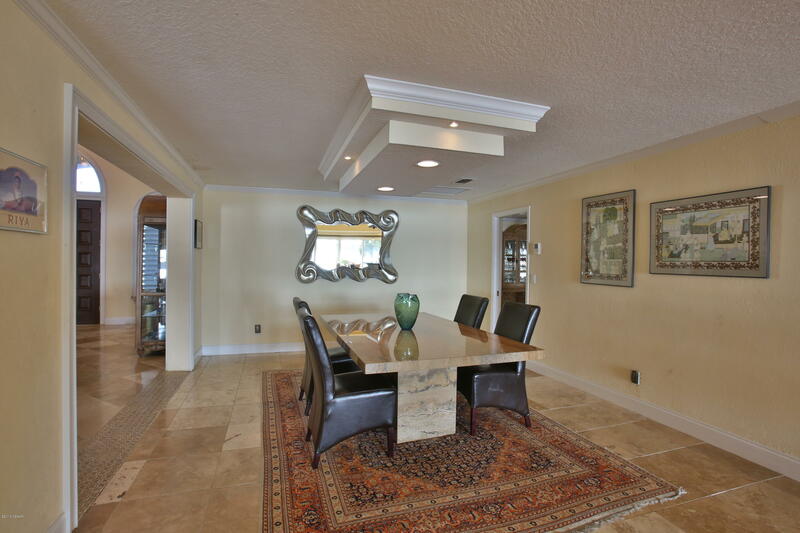 A large breakfast room is incorporated into the kitchen and the formal dining room is open to the main space with incredible views. 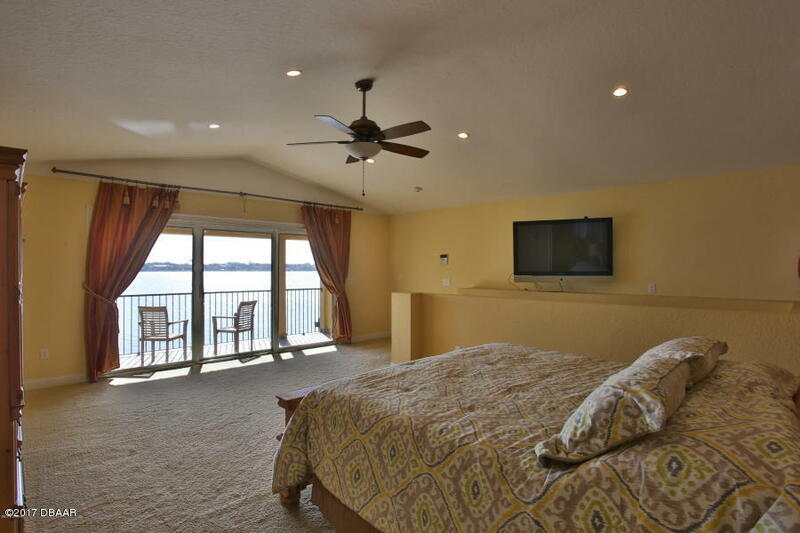 Three of the five bedrooms are direct waterfront and two of them are suitable for master suites. 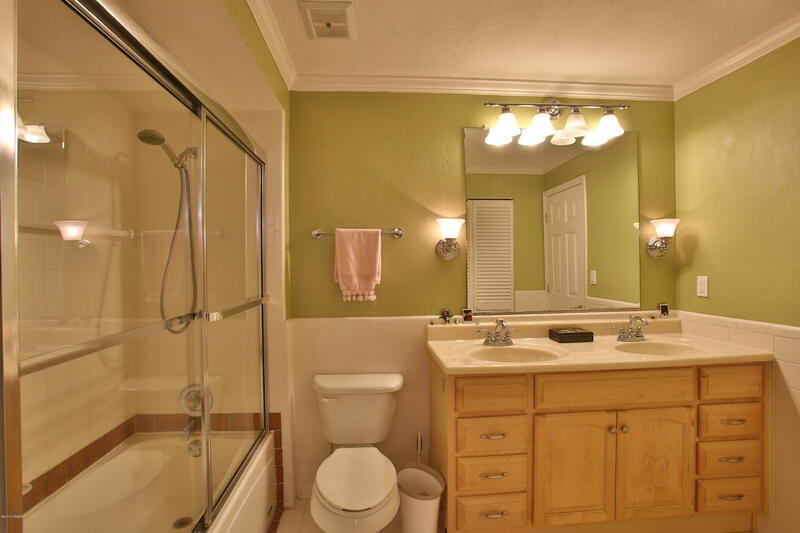 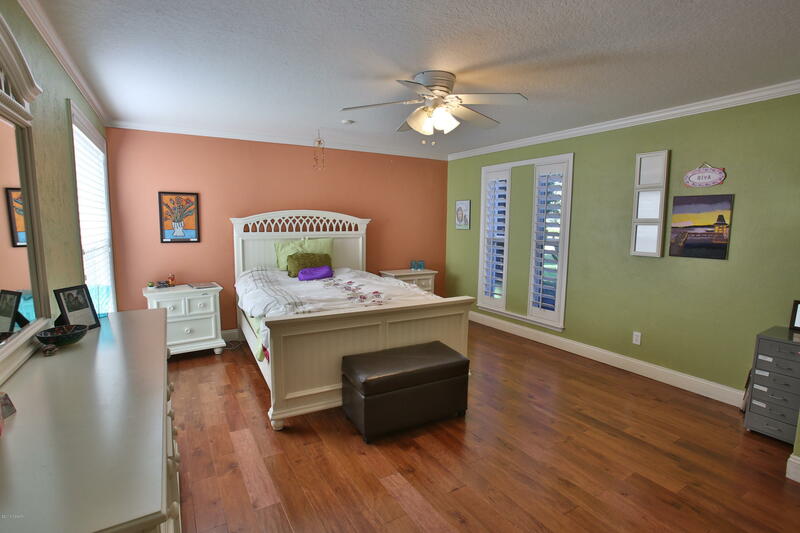 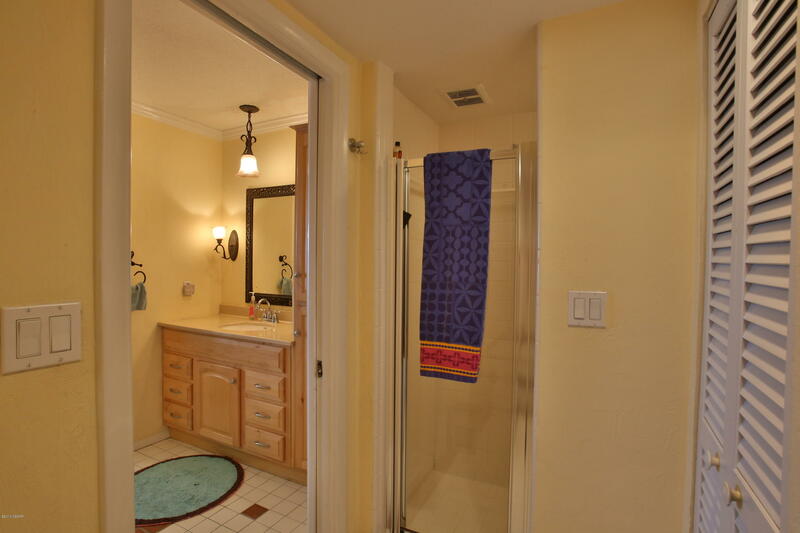 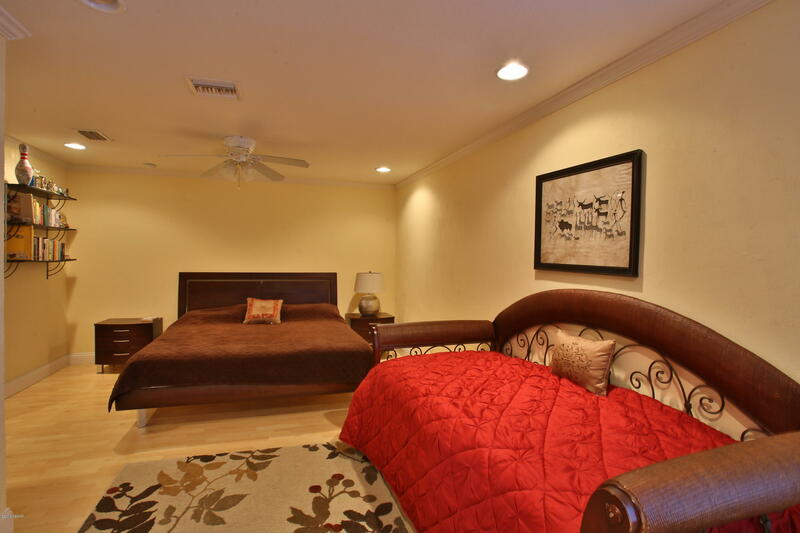 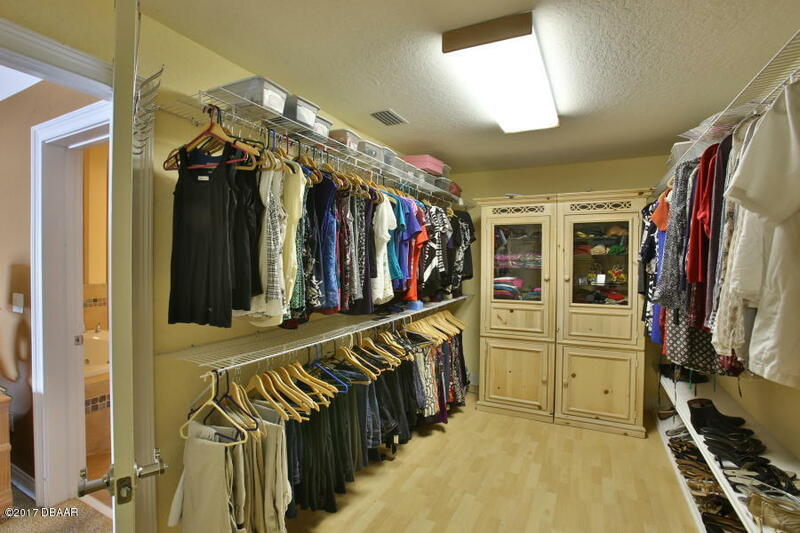 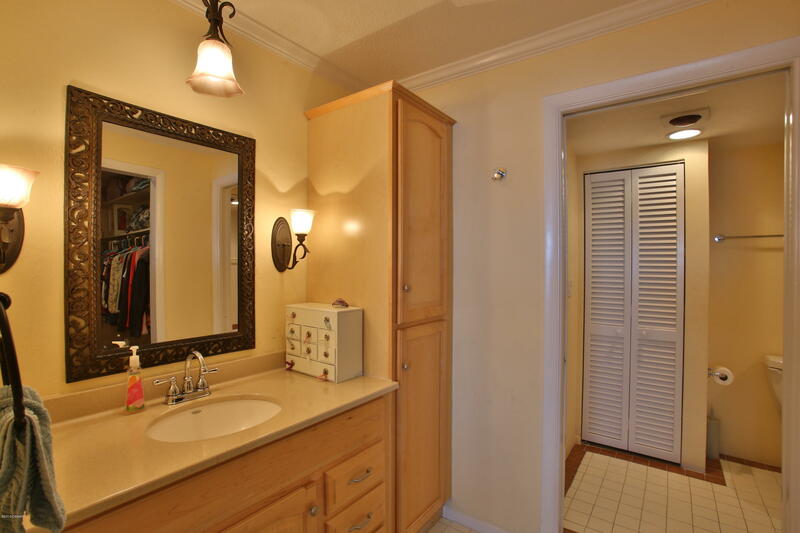 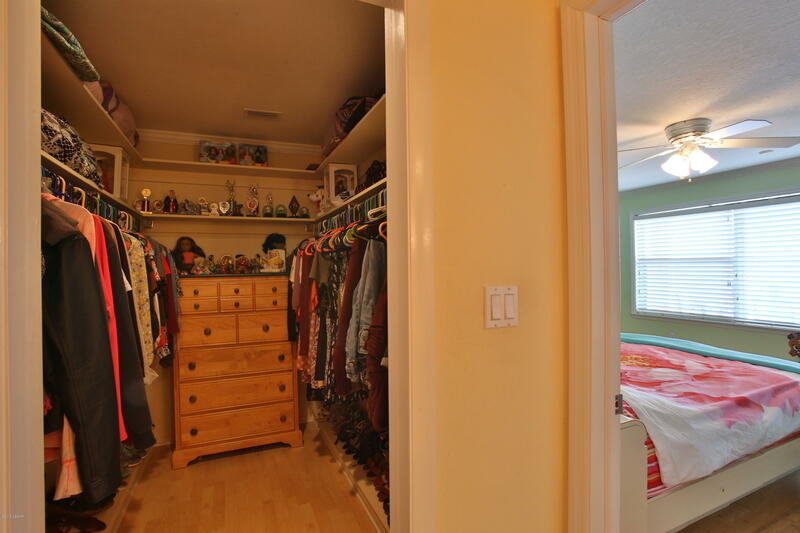 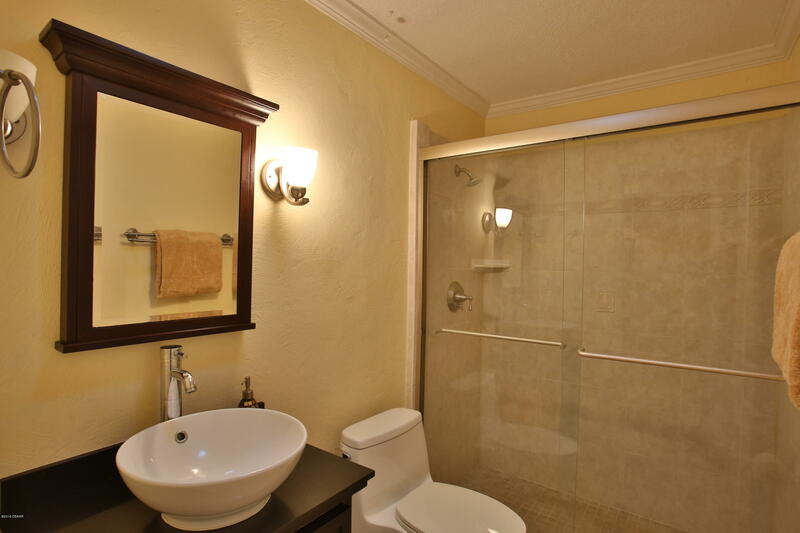 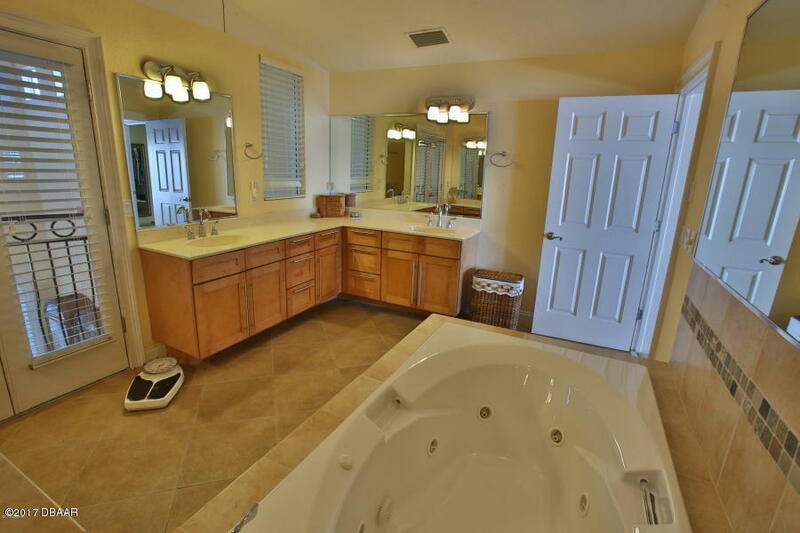 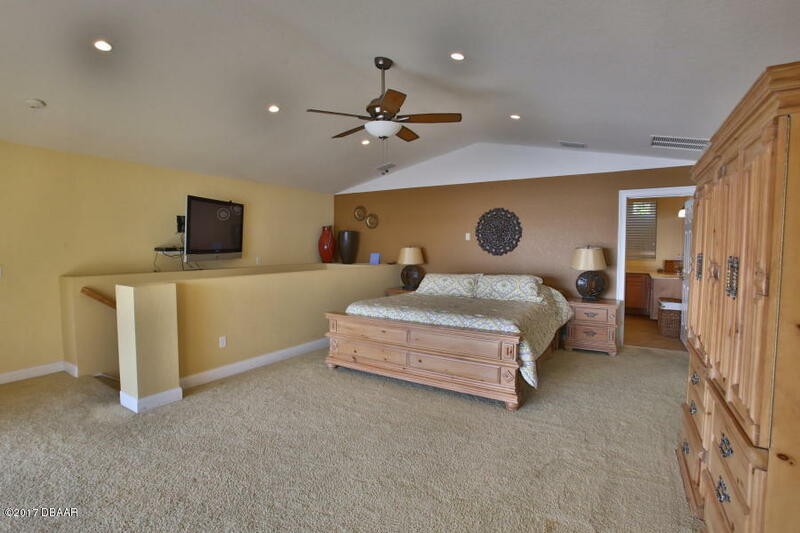 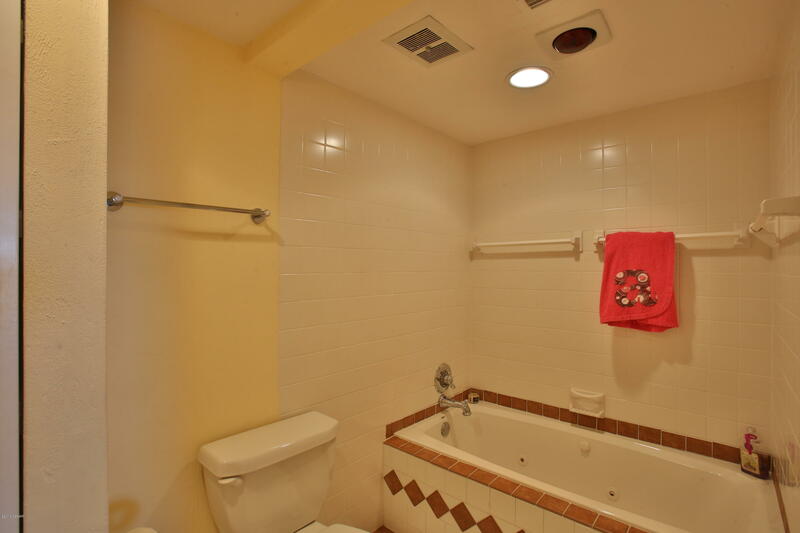 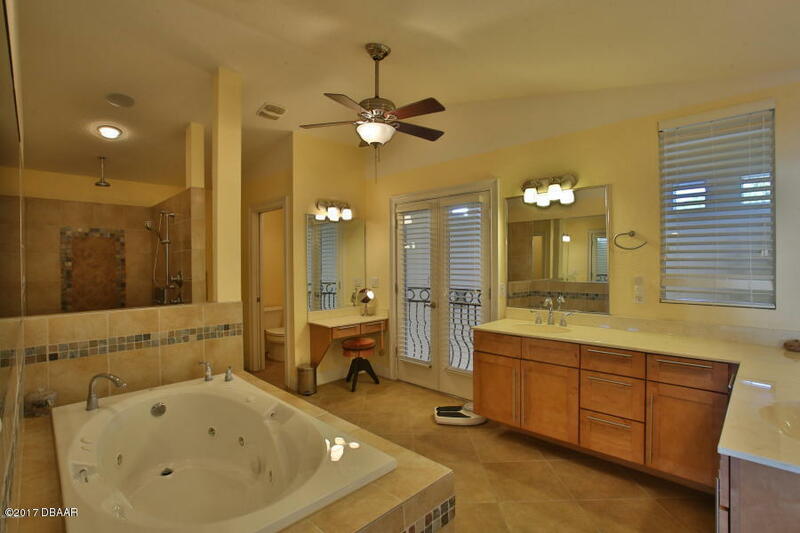 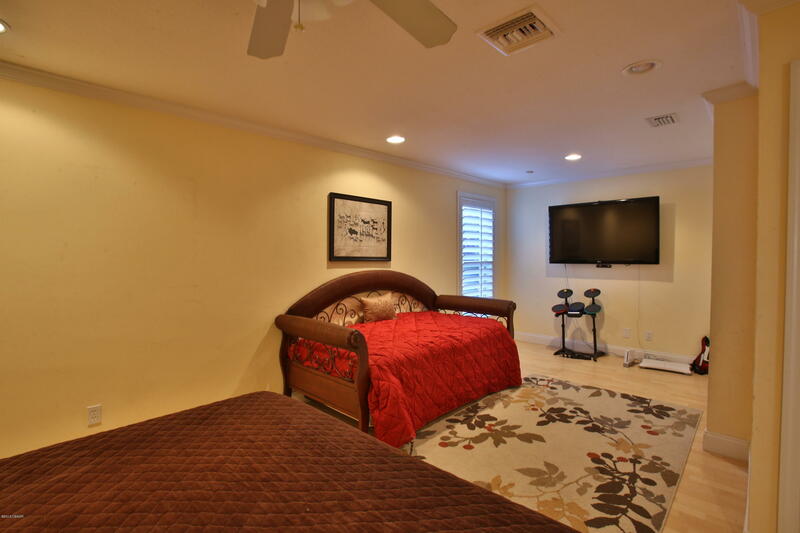 The downstairs master/guest suite features an ample walk-in closet and beautiful bath. 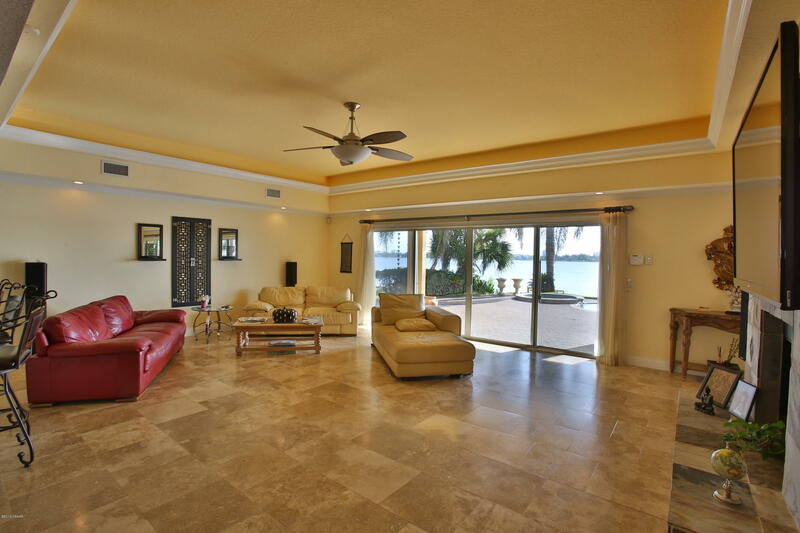 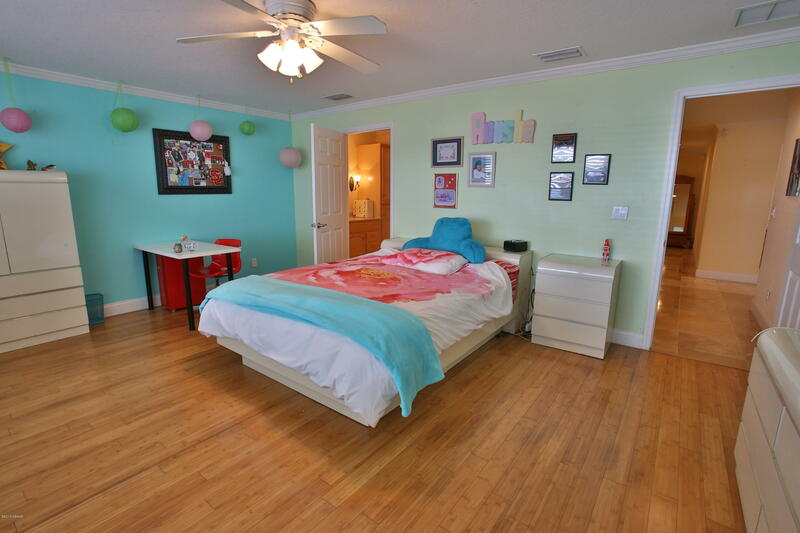 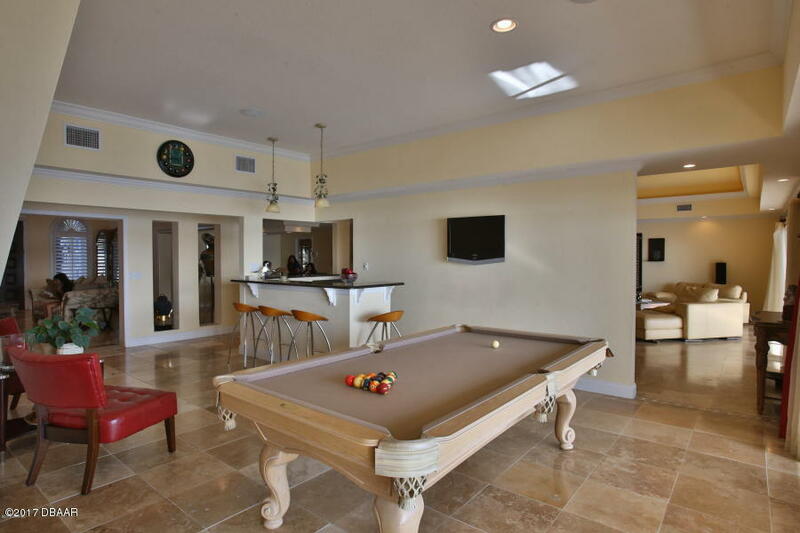 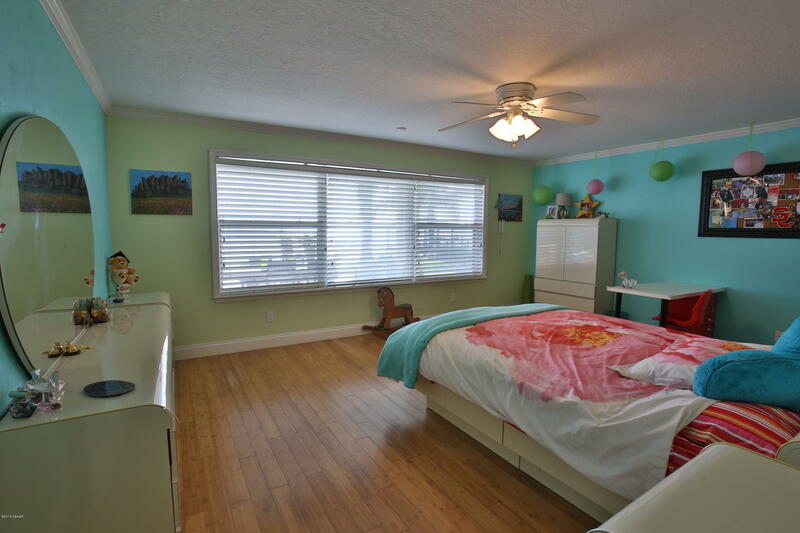 The upstairs master is a bit more elaborate with a tremendous 25' x 8' closet/dressing room, luxurious bath and private balcony overlooking the Intracoastal and the resort-style pool area with seawall and dock beyond. 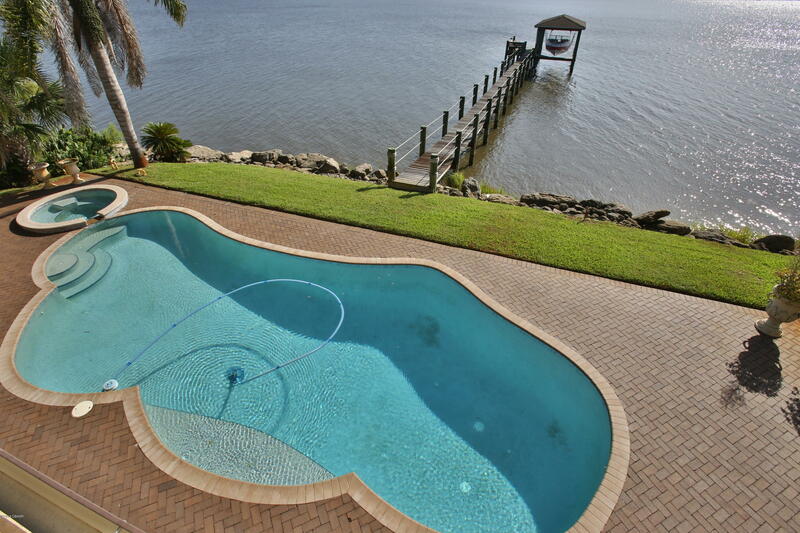 The pool here is remarkable in size and simply spectacular in person. 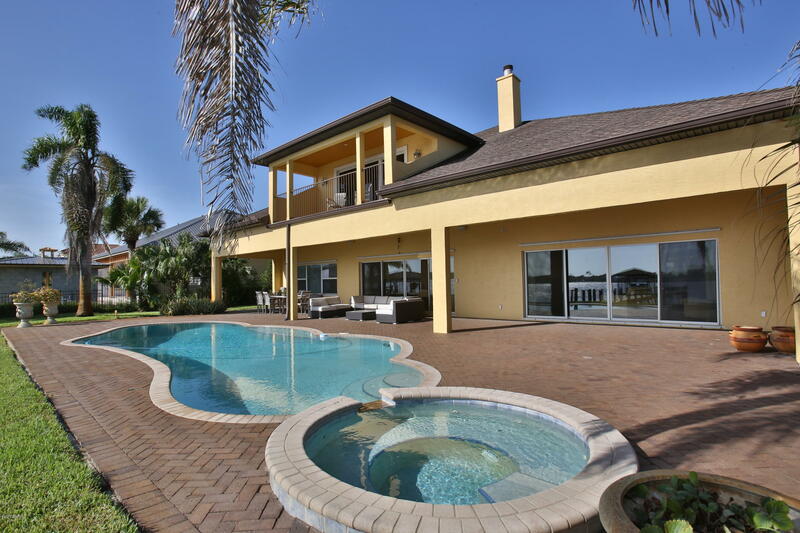 The pool deck welcomes the sunrise and enjoys sun nearly all day, but the owners enjoy partial shade and easterly breezes in the hot summer afternoons. 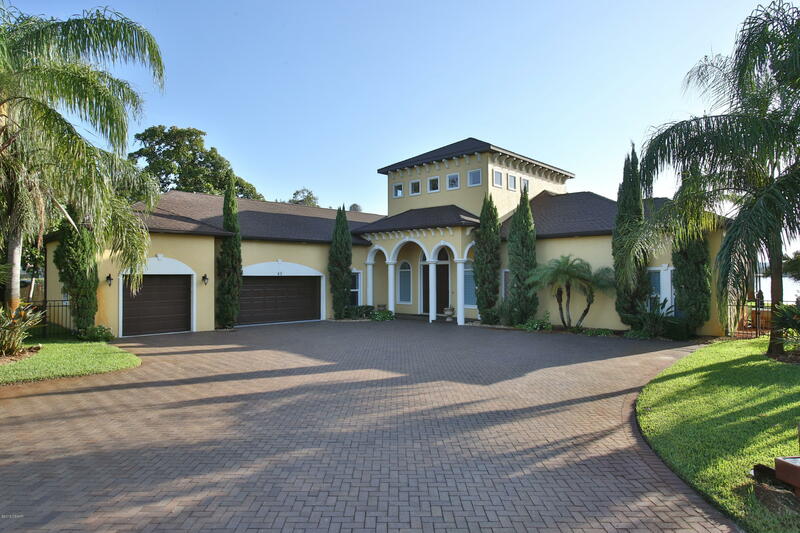 Brilliant curb appeal with a sprawling paver driveway and courtyard 3-car garage. 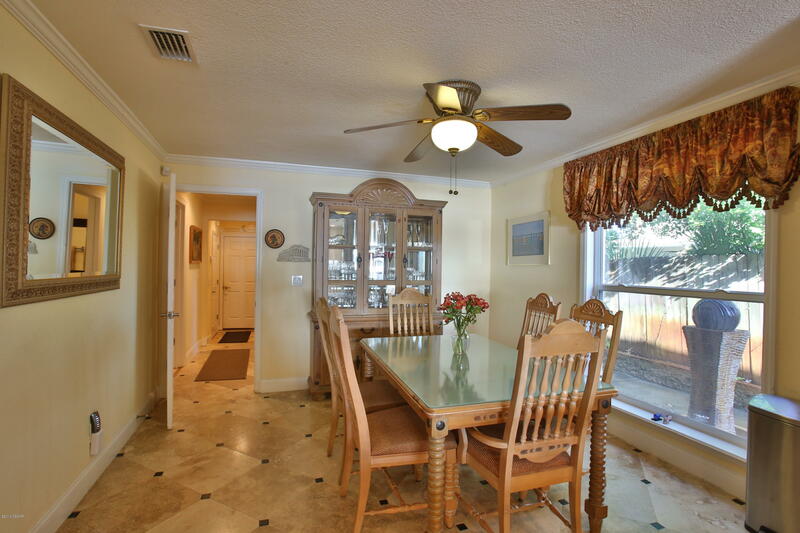 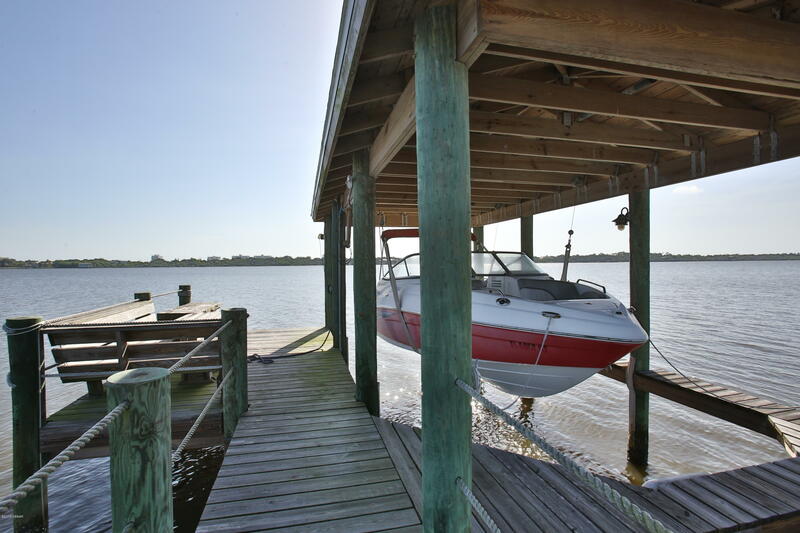 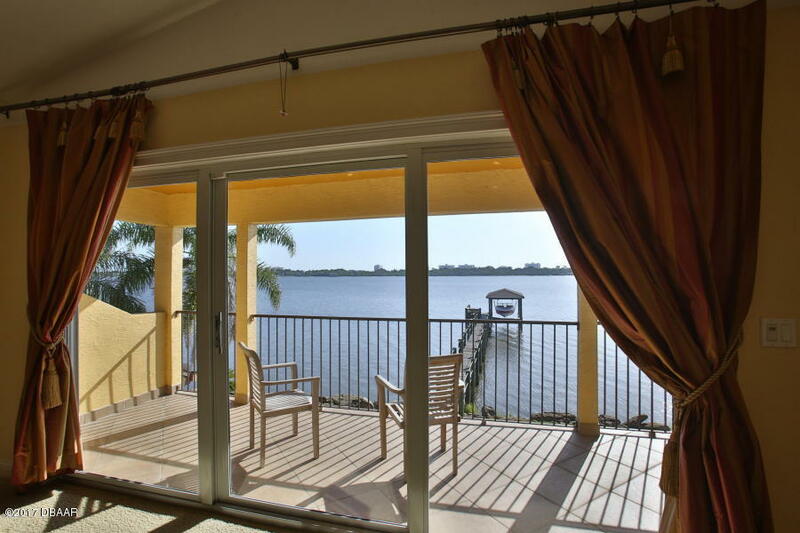 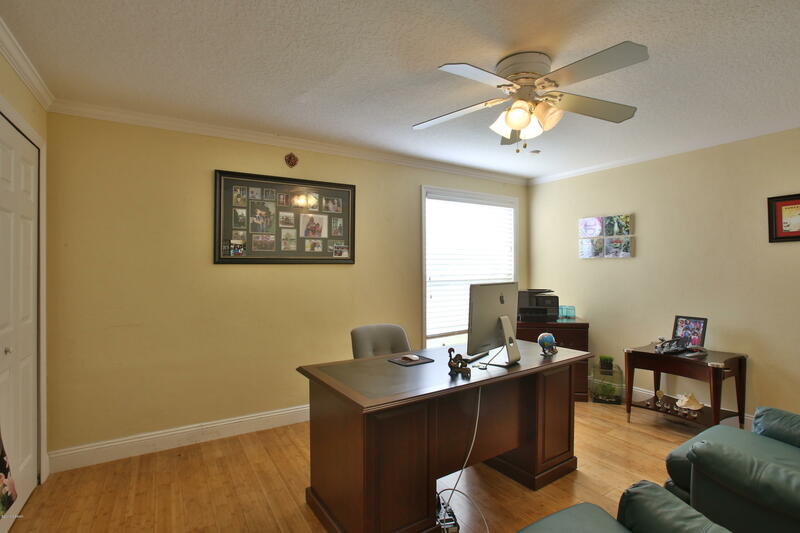 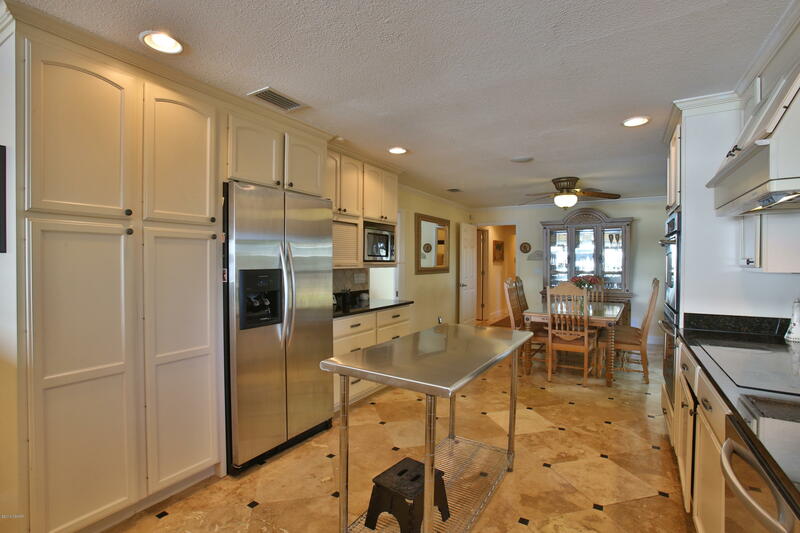 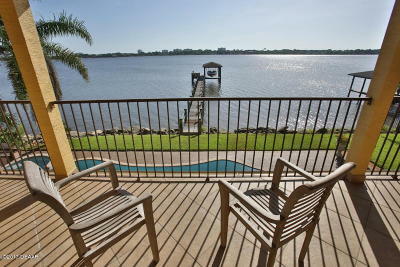 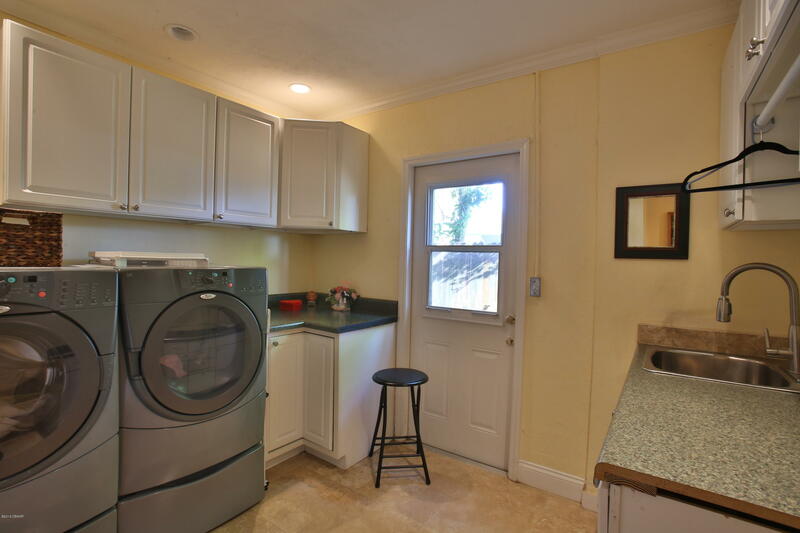 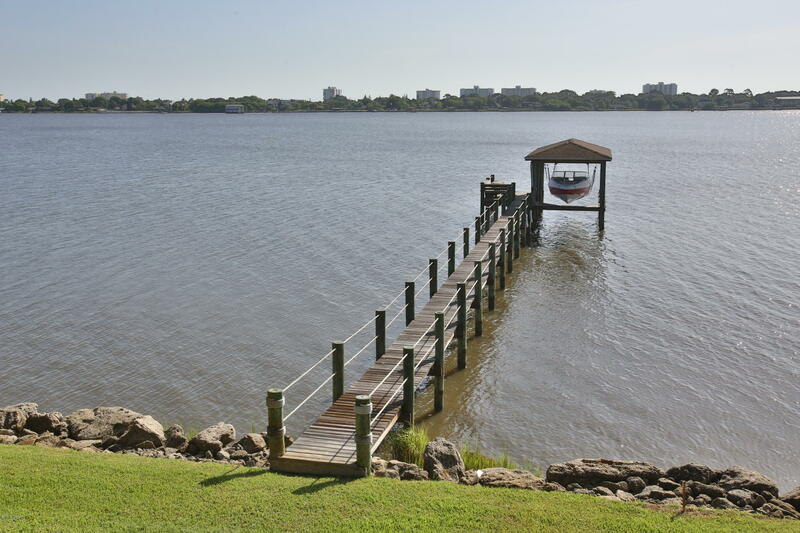 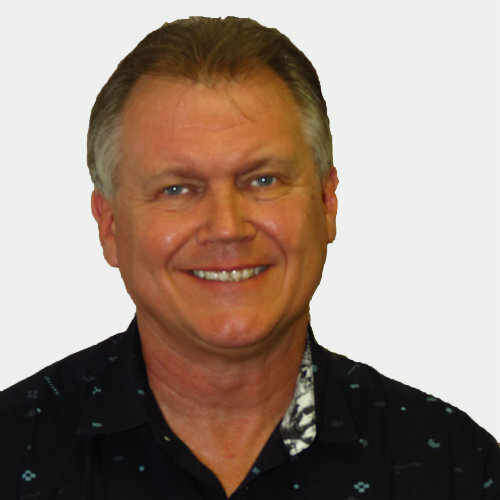 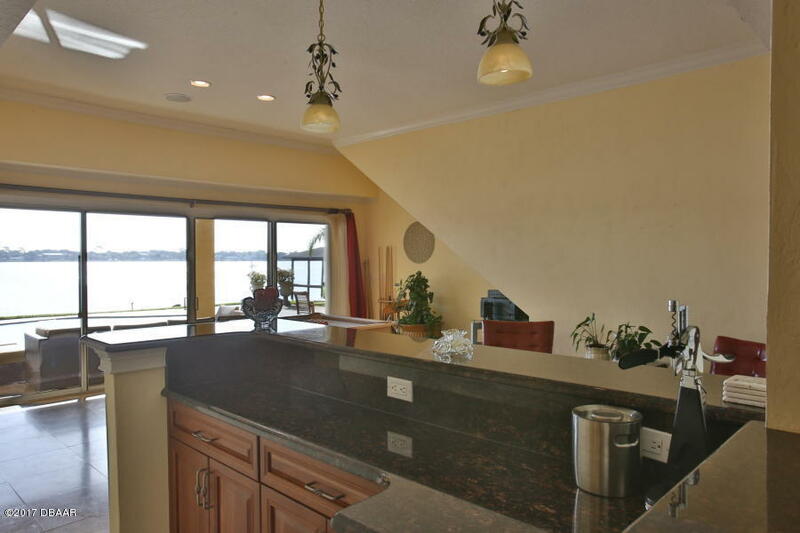 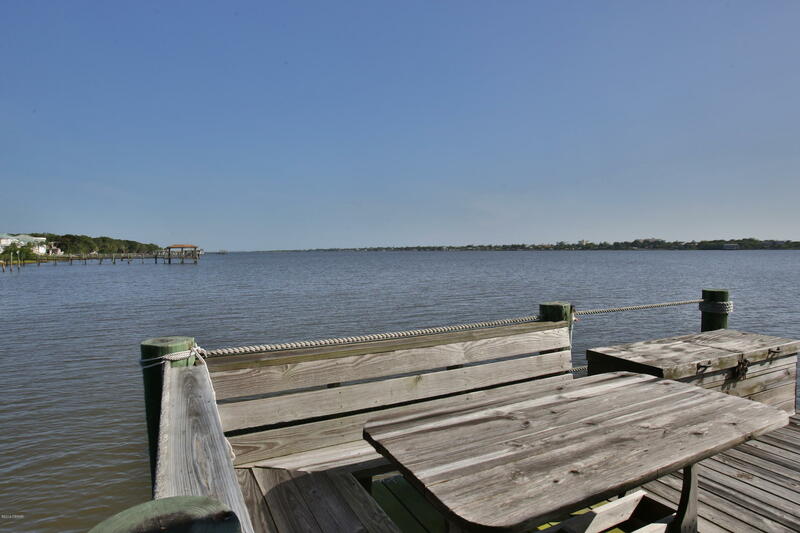 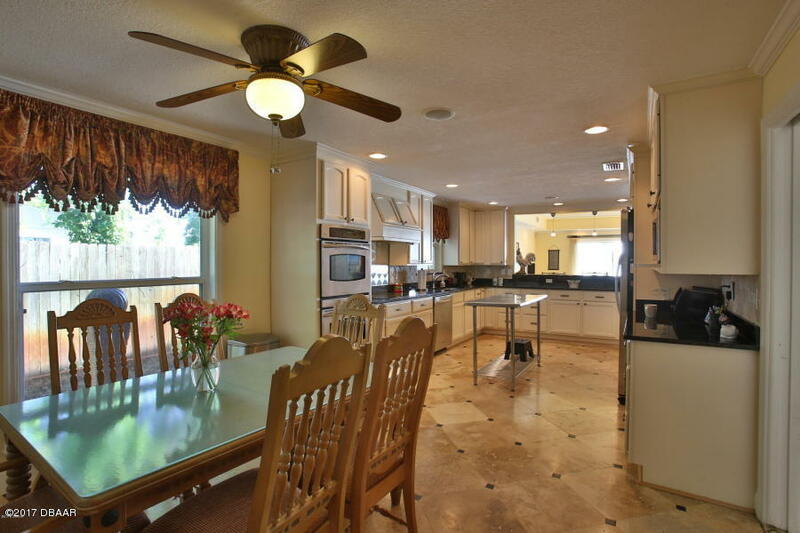 Properties of this caliber rarely come available in Ormond's riverfront market, and this one is not expected to last.